Earlier this year, Amazon’s AWS group said that it was working on bringing instance types with between 4 to 16TB of memory to its users. It’s now starting to fulfill this promise as the company today launched its largest EC2 machine (in terms of memory size) yet: the x1e.32xlarge instance with a whopping 4.19TB of RAM. Previously, EC2’s largest instance only featured just over 2TB of memory. These machines feature quad-socket Intel Xeon processors running at 2.3 GHz, up to 25 Gbps of network bandwidth and two 1,920GB SSDs. There are obviously only a few applications that need this kind of memory. 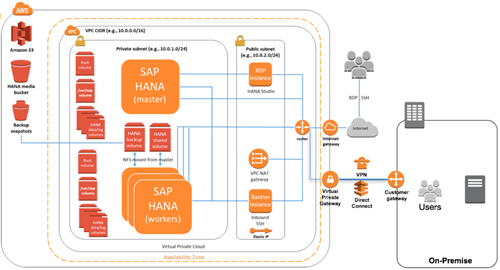 It’s no surprise, then, that these instances are certified to run SAP’s HANA in-memory database and its various tools and that SAP will offer direct support for running these applications on these instances. These new instances are now available in four AWS regions: US East (Northern Virginia), US West (Oregon), EU (Ireland) and Asia Pacific (Tokyo). Running these instances doesn’t come cheap, of course. On-demand pricing in the US East region is $26.688 per hour and in Tokyo it’s $38.688, for example. That makes them AWS’s most expensive machines yet. It’s worth noting that Microsoft Azure’s largest memory-optimized machine currently tops out at just over 2TB and that Google already calls it quits at 416GB of RAM.